According to the Second Law of Thermodynamics, every thermic machine (or heating pump) that works between two temperatures focus (T1 and T2) will get a maximun efficiency of: E = (produced work)/(consumed energy) = (T1-T2) / T1 (the rest is unable to employ energy which increases the enthropy of the Universe). Using this principle, as a starting point, engineers of the PUC have been working since 1994 in the development of an advanced system of non-polluting heating based in the employment of the geothermics energy (according to the Scandinavian countries). The system consists on a 200 metres depth well and 6" diameter into which some pipes are introduced. 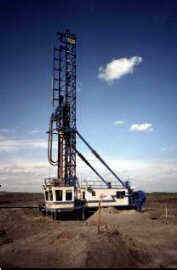 The well is made with impact tools or air hammers of the type DTH (the same used in minning). Through the pipes water is injected in T1, but by the gradient thermic effect of water it turns into T1+ 4°. This phenomenom allows to make work a heating system that increases the temperature, resulting in a heating system respectful with the environment with insignificant costs of operations. The technology is being exported to numerous countries with environmental conscience. The main objective of a Borehole Logging is to get a U v/s Z curve (directly or indirectly), where U is a physical magnitude (resistivity, porosity, etc.) and Z corresponds to the vertical axis. Several quantum phenomena (gamma radiation, neutron-hydrogen collision, Compton effect, etc.) allow to get indirect imformation about the different physical magnitudes. The methods used are really ingenous helping to exemplify how an "abstract" scientific method can become a powerful engineering tool when it is well understood. Note: From the above reasoning the detrital enriched with uranium and torio strata are excluded, what would be easily detectable getting an out of scale lecture. You are a well-logging Specialists working for a mining company. Your colleagues geologist and geophysicist Have Identified a Potential That Is mining resource associated with low resistivity, capacitance and possible self possible potential, high seismic velocity and high density. The resource is likely to Also Be associated with high gamma ray radiation due to a high potassium content. It is likely to OCCUR in vains, Possibly as thin as 1 m. The board of your company have decided to drill an exploration well and wants you to plan the well logging. What Would You Suggest Methods to explore the well? Probably you want as much information as possible, But You Are Forced to economize, the board has Given you a limited budget. We would appreciate any help. Thanks. On the "high seismic velocity and high density", we find it redundant. For economic reasons we suggest only to measure the density by the radiometric method of cesium-137 (counts per second Geiger counter are proportional to the density). 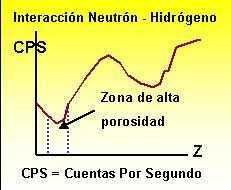 In all cases, you must make graphs of physical parameters in function of the vertical axis. Wells to study: water collection, petrol, etc. 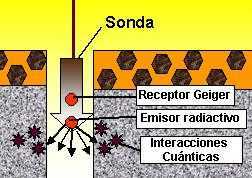 Specification of the resistivity, etc. What is a polymer and what is a polymer for?